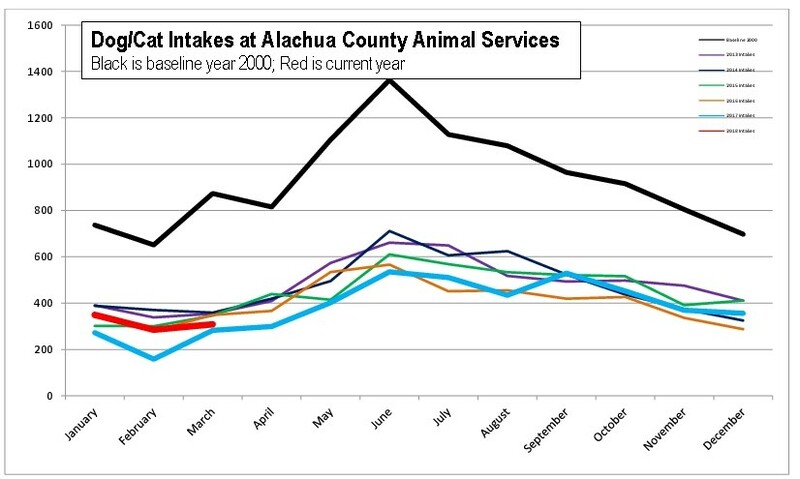 In 2000 at Alachua County Animal Services, 8062 dogs and cats were euthanized because there weren’t enough homes for them all. In 2016, Animal Services euthanized 340 homeless pets… ...a 96% reduction in deaths! 2017 Community Adoptions: Up 2.8% against 2016. Total adoptions 6891. 2017 Live Release Rate at ACAS: 93.03%.